NASHVILLE, Tenn. – Each year, the BlueCross BlueShield of Tennessee Health Foundation partners with local organizations to improve community health. This year, BlueCross and the University of Tennessee Law Enforcement Innovation Center (LEIC) are providing a naloxone training program for first responders who answer to drug-overdose calls. Narcan, or naloxone, is a drug that counteracts overdose effects, allowing first responders to save lives in seconds. 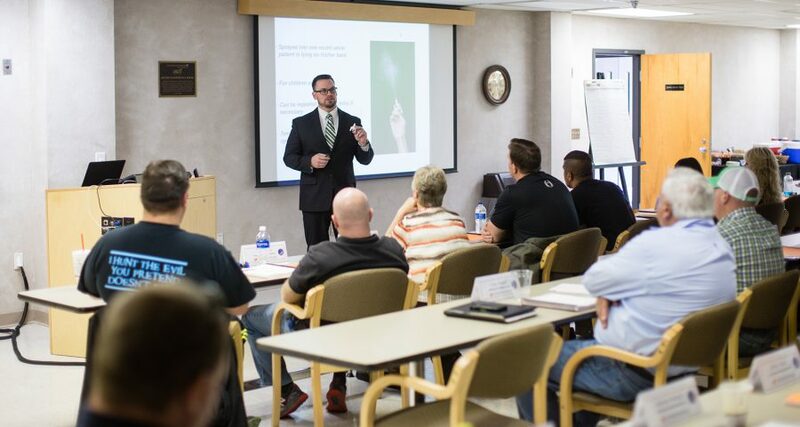 The training reviews how to inject the nasal spray, as well as the product’s shelf life and how it works, says Chris Jones, training specialist, who adds that putting Narcan into responders’ hands will help them in a wide variety of calls, not just those related to possible drug overdose. The BlueCross BlueShield of Tennessee Health Foundation provided $35,000 for Narcan training provided by LEIC. And to raise more awareness for the cause, LEIC was featured in the latest edition of Better Tennessee magazine, published by BlueCross. Through grants from the BlueCross BlueShield of Tennessee Health Foundation and BlueCross BlueShield of Tennessee Community Trust, as well as corporate sponsorships, BlueCross invested nearly $10.5 million in Tennessee communities in 2016. The Community Trust is a 26 U.S.C. (c)(4) organization designed to allow BlueCross BlueShield of Tennessee to offer additional support to charitable and civic causes in the communities we serve. The BlueCross BlueShield of Tennessee Health Foundation, Inc. was established in December, 2003 as a 501(c)(3) not-for-profit corporation organized to promote the philanthropic mission of BlueCross BlueShield of Tennessee. The foundation awards grants focused on high-impact initiatives across the state, which promote healthy lifestyle choices and help control health care costs for all Tennessee residents. Working with civic and economic partners, the foundation is dedicated to the support of research, innovative programs and creative approaches to improve the health and quality of life of Tennesseans for generations to come. BlueCross BlueShield of Tennessee’s mission is to peace of mind through better health. Founded in 1945, the Chattanooga-based company is focused on serving more than 3.4 million members in Tennessee and across the country. BlueCross BlueShield of Tennessee Inc. is an independent licensee of the BlueCross BlueShield Association. For more information, visit the company’s website at bcbst.com.